I have been posting quite a bit about the importance of social media on this blog lately, and I thought I would locate my next review based on a place which I found through facebook - Peppers Pizza in Scranton. Prior to finding Peppers online, I had never heard of the place before, but after following them for several months, I noticed that they showed up in my newsfeed frequently, displaying photos of tasty looking pizzas and wings with clever captions to boot. I actually became a fan of the place without even ever seeing it or knowing where it was exactly. After checking our their website, I found that they are one of a few pizzerias that are open 7 days a week (that I haven't already reviewed). 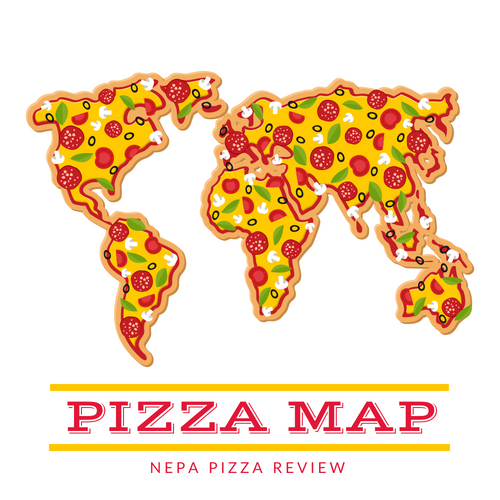 As we well know, pizza is sometimes hard to come by on Mondays in NEPA when you are looking for a new place and you've already eaten at 130 of them and many are closed! So I placed my order for a 16" Cheese New York Style Pizza, and was told 30 minutes over the phone. I arrived in about 25 minutes and it was ready in just under the allotted time frame. 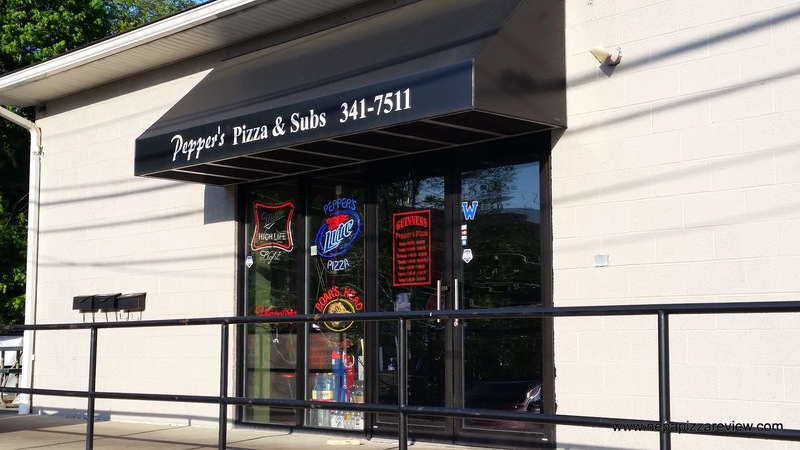 The location of Peppers is just one block off of Keyser Avenue very near the bottom of the Morgan Highway in a very small strip mall. It's actually very easy to get to, parking is ample, and you don't have to park on the street. I walked in to find that Peppers is a takeout and delivery-type joint with a few tables to dine in, and a few picnic tables if you choose to dine out. They have an ample supply of adult beverages available for purchase in the cooler, so prepare to have a fun Friday night if you order here! The place was pretty straight-forward and embodied an essence of simplicity and fun that I enjoyed. After paying for the pizza, I quickly exited and felt the heat from the steaming hot pie radiating through the box. I flung the box open to photograph the pizza for the first time with my new Samsung Galaxy S5 and I must say the pie did look pretty tasty, especially since I was so hungry. I must also add that I can't believe how good the camera on this cell phone is! I didn't even play around with the settings yet and the quick snaps I took were remarkably accurate and easy, but we aren't reviewing cell phones here, we are reviewing pizza. When I took a look under the hood, I noticed that this pizza was cooked on a screen, so it wasn't especially crispy but it was cooked perfectly. 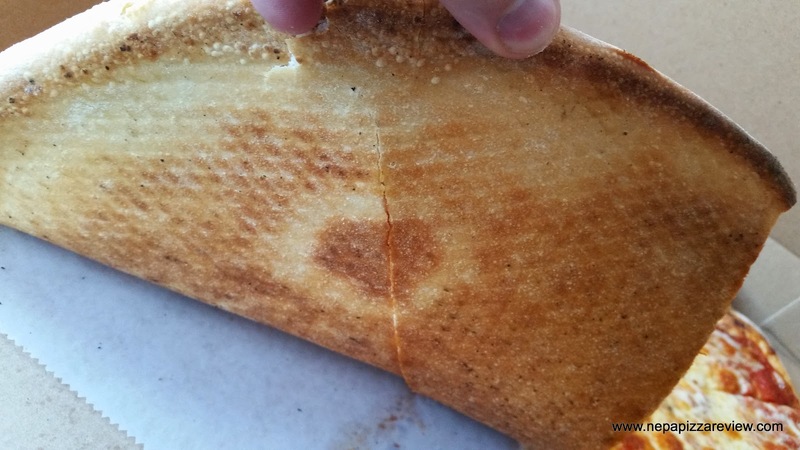 The crust had a consistency that reminded me of a Pizza Hut or Dominos crust - but better. What I mean by that is that the dough is so uniform and consistent throughout and doesn't have a huge variation in the air pockets and bubbles. There is nothing wrong with this type of dough as it undoubtedly produces consistent and repeatable results every time. It also allows the pizza to have a longer shelf life when being delivered, so I would have confidence in a fresh Pepper's pizza arriving at my doorstep. The sauce was a little on the sweet side and had a pasty consistency. It certainly was not dry, but this was a thicker, pastier sauce than many others in the area (think Sabatini's). My favorite part of the pizza was definitely the cheese which was quite flavorful and delicious. I have no idea what the blend was, but it had a nice saltiness to balance out the pie. Overall, I have to say I did enjoy this pizza. 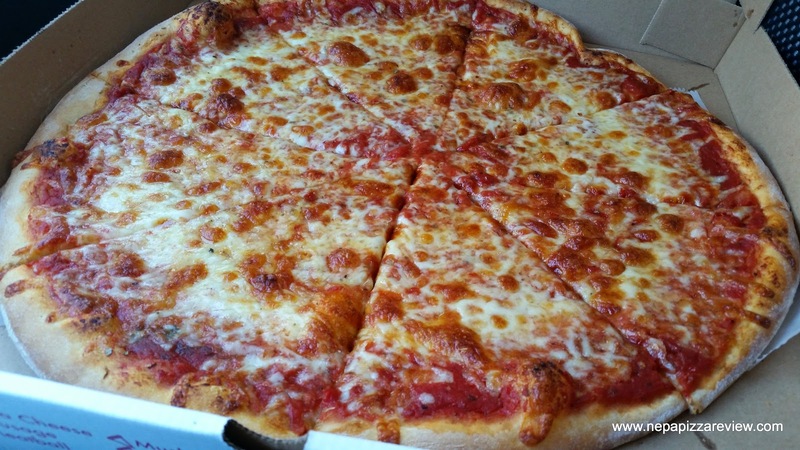 I would also add that if you put this pizza up against most other places that deliver pizza in the area this would be at the top because it has some aspects of a higher end pizza, but the consistency and shelf life of a take-out or delivery pizza. Given that Peppers offers some unbelievable specials, I would absolutely recommend that you consider this place for your next party or gathering. Also, be sure to like them on Facebook because they do a nice job of keeping in touch with their fans and customers without being "spammy."